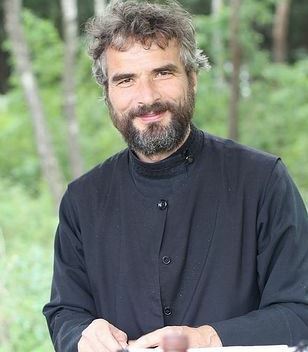 Priest George Maximov: Hello. You’re watching My Path To God. The guest of today’s program is Priest Thomas Dietz. We all know that during the past 20 years many people from our country emigrated to the West. Father Thomas did the opposite and immigrated to Russia from Germany. He has been serving as a Russian Orthodox priest in Moscow for many years now. Father Thomas, how did your journey to God begin? Priest Thomas Dietz: Thank you, Father George. Let’s start with my childhood. I was raised in a typical German Lutheran family. Only my father was a believer; my mother was far from being religious even though her grandfather was a pastor. So, the first foundation of my faith was laid by my father. He used to read the Gospel to us on Sundays and took us to a Lutheran church in a Munich suburb where we lived. When I was 10-12 years old, I had a childlike faith that I cherished, even though at times my peers made fun of me because of it. The social environment in Germany is very secular… Later, as I grew, I lost that faith, which was typical for Germans. I re-gained it when I was listening to a catechesis in a Roman Catholic church. Father George: So you converted from Lutheranism to Catholicism? Father Thomas: Yes. I attended Catholic classes for several years as a Lutheran, and then decided to join them. I was 23 at that time. Father George: What was your motivation for regaining your faith and deciding to convert? Father Thomas: You can say that as a Protestant from a Lutheran family, I was quite skeptical about Church when I grew up. There were many reasons for that. The main one probably had something to do with my parents. I remember that when my father was praying before meals at home, he was always very sad. As a young man, I was always wondering, “Why should people be sad when they address God? What is wrong here?” In Catholicism, the situation was reverse. I saw many jovial Catholics who were sincerely thankful to God for their newly found faith. These people found a new way of life in Catholicism, the way of living as a community. They were also very inclined toward missionary work. 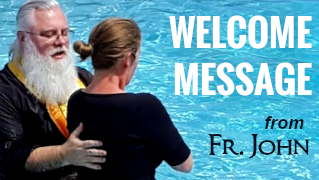 This joy, community-based way of life and, you can say, love between the faithful in the Catholic communities won me over. It should be noted that I became Catholic in the Neocatechumenate. This movement is not very well-known in Russia, but it is nevertheless present here. It is one of so-called spiritual movements of modern Catholicism. I spent several years in this movement and felt that I should fully join the Catholic Church to partake of the Sacraments and build my life this way. I enthusiastically participated in the life of the Catholic Church, became a catechist, went on many pilgrimages to Rome, worked in the Neocatechumenal mission in West Berlin and, later in Hungary, and got admitted to a seminary school. Father George: As far as I know, many things in Catholicism and Orthodoxy are unusual for Protestants. For example, veneration of the Mother of God, images of saints, etc. Maybe these things are not as pronounced in Lutheranism as in other Protestant beliefs, but you probably had to overcome your aversion. Or did it occur naturally during catechization? Father Thomas: It took some time. For a Protestant, venerating the Mother of God and the existence of Pope were, of course, a stumbling block. I had to get used to it. I remember that being among the masses of people during my first pilgrimage to Rome was objectionable to me. At that time, it seemed to me an excessive communality, but I got used to it. I believed that venerating the Mother of God was essential for the faith and piety. I also appreciated the Catholic advantage of having clergy, which the Lutherans lack. I saw that there was the patristic heritage established by Christ to give us guidance. So in these communities I got used to many aspects that we have in Orthodoxy, such as veneration of the Mother of God, clergy, bishops and the Sacred Tradition, even though Catholics have it in a different form. Father George: How many years were you in the Catholic Church? Father Thomas: Eighteen years, if you count from the first time I converted till the time that I quit. Father George: This is quite a long time. Considering the reasons that got you there, such as discovering communal life and meeting caring and joyful people who share their joy with each other, I should ask you what made you doubt Catholicism, continue your quest and discover Orthodoxy? Orthodoxy is not well known in the West, is it? Father Thomas: That’s right. When I became Catholic, I basically didn’t know anything about Orthodoxy. For me it was a blank space on the map of religions. Only after a while I learned that there was Orthodoxy, a religion where the Sacred Tradition played an important role. However, during almost all of this long period of my life, I was confident that the Catholic dogmas were right. I didn’t doubt that the papacy was established by Christ Himself or that the Pope occupied his rightful place. However, during all the time that I spent in Catholicism, I had a feeling that something was missing. I missed the reliable and solid foundation of faith, the foundation that I knew would support me and never collapse. It was something bigger than a good attitude toward people and community and other things that basically are ephemeral. And God steered me in a way that made me more interested in Orthodoxy. I started studying Russian fairly early, when I was 24 and lived in West Berlin. I was not admitted to the University of Berlin, so I couldn’t continue my architecture studies that I started in Munich. Frustrated, I went to the nearest bookstore and bought a teach-yourself Russian guide because I felt that it would be important for me. Father George: Was learning the language easy? Father Thomas: The chances of mastering the language seemed very slim to me, but I didn’t give up and soon Russian words became the embodiment of the beauty of the human speech for me. However, I read about Orthodoxy mostly in German. When I learned about the life of the Orthodox Church during Communism, about persecution and martyrdom, I got very interested and read everything on Orthodoxy that was available in German. Then I started reading the works of holy fathers, mostly the holy fathers of Russian Orthodoxy. I read the works of Silouan of Mt. Athos, exegesis of some works of Theophan the Recluse, and the Life of St. John of Kronstadt. All of these were in German. The more I read, the more I was captivated. This caused some inner conflict in me, as Catholics do not consider this an important aspect of spiritual growth. They said, “We have all of that too. What are you looking for there?” But I couldn’t find this in Catholicism. I couldn’t find that depth and determination of spiritual life, that consistency, that foundation. The charismatic aspect is very important in Catholic spiritual teachings. They call it charisma and they do have very charismatic leaders. They can talk exuberantly about God for two hours and gather 100,000 people. I attended such meetings many times. During the meetings, among other things, they call people to join the clergy and thousands of young people decide to become Catholic priests. However, I found that this charismatic approach lacks reliability on the foundation of faith in the Church. I found this reliability and deep roots of the Sacred Tradition of the Church in the works of the holy fathers of Orthodoxy, especially the holy fathers of recent times, such as St. John of Kronstadt, St. Silhouan of Mt. Athos and St. Theophan the Recluse, and in the works of the new martyrs of the Russian Church. This became a kind of rock for me—the rock where I found shelter when I had some doubts about Catholicism or when I was simply bored. Father George: Did not this interest conflict with your Catholic beliefs? Father Thomas: It did. I was cautious about getting too close to Orthodoxy, fearing to lose my Catholic faith, and prayed to the Mother of God to help me keep my faith. I should say that I was admitted to the Catholic seminary and understood that if I want to become a Catholic priest, eventually I’d have to abandon my pull towards Orthodoxy. But do I want to? What is God’s will? I decided to test myself by discarding everything that was related to Russia and Orthodoxy, including all my study guides, books, audio recordings and even dictionaries. I had a whole library. I packed everything and gave it all away. Distanced myself from it. I said, “God, please lead me to where I must go.” I lived like that for several years. I studied at the seminary and every year it became more difficult. I didn’t feel that I still had that grace that a monk or a celibate priest needed, although I knew that celibacy was a mandatory requirement for becoming a Catholic priest. Even my desire to become a priest began to wane and eventually I had such a deep spiritual crisis that Kiko Argüello, my spiritual guide and rector, who was also the head of the Neocatechumenate movement, had to send me home saying, “You can’t stay here. Please go home, find yourself a girlfriend, do whatever you want, start working. You can’t stay here. We don’t know where God is leading you to, but please leave.” These were the words I needed to hear. This was God’s answer to my prayer. I went home to Munich and resumed working as an architect. The same summer, I went to Russia looking for a spouse. Naturally, this trip wasn’t successful. Thank God for that. After my return, I started attending services in a Russian church in Munich. Father George: There are many Orthodox churches in major German cities. There are churches under the jurisdiction of the Greek Orthodox Patriarchate of Constantinople, Russian Orthodox Church Outside of Russia (ROCOR), the Moscow Patriarchate as well as Bulgarian, Serbian and Romanian churches. 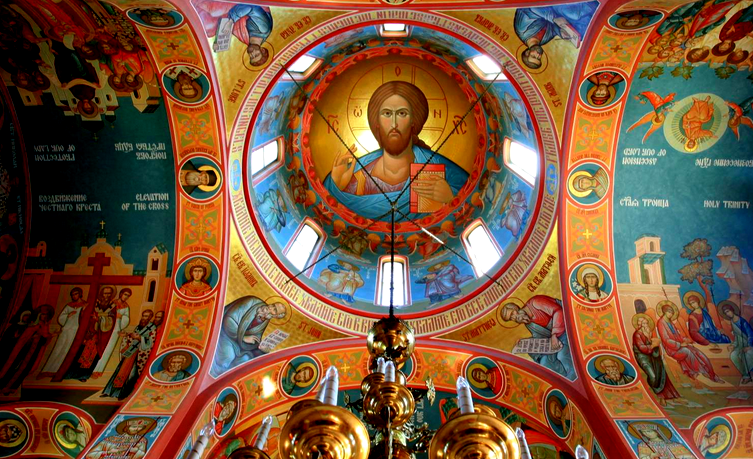 What made you choose the Russian Orthodox Church Outside of Russia? Was it simply because it was the nearest church? Or was it something more serious? Father Thomas: It wasn’t the nearest church. The nearest to me was a Serbian church. It was the most beautiful building. But I didn’t speak Serbian. For Germans interested in Orthodoxy, knowing the language of a certain branch of the Orthodox Church is a great help. Some people know Bulgarian, some people know Greek. All these churches in Munich have German parishioners and, of course, they try to master the language so that they can better participate in the services. I knew some Russian, even though I couldn’t speak very well, but there were things that I understood. So I went to ROCOR because their church was near and because it was a big beautiful church. The Moscow Patriarchate did not have that. In ROCOR, even the bishop was German. They did a lot for the German parishioners. They still do. The Bishop held monthly classes on Orthodox dogmatic theology for Germans in his monastery. Once a month they held meetings in parishioners’ homes and the Bishop told them about Orthodox life and faith. This, of course, was very helpful. They also had 2-3 day workshops on Orthodoxy in German. I started going there more frequently, got acquainted with the bishop, stayed for meals after the Liturgy and tried to communicate with people in both German and Russian. It was a very friendly community where everyone knew everyone. Everything was great. The only problem was that I still was a non-Russian and felt a little bit left out. I think this problem exists in all Russian churches in other countries, because the services are in Russian and Church Slavonic. The Church cannot be missionary to the full extent, if only one Liturgy per month is performed in German. Father George: What helped you to overcome that feeling of certain estrangement from the local Orthodox community that was oriented toward a different nation? Father Thomas: Mostly it was Bishop Mark of Berlin. Father Nikolai Artemov, too. He was born and raised in Germany, so he could help us in many ways. He held Church Slavonic classes for us. There was also a German priest, which was a sign for me – I understood that nationality was not an obstacle, even to being ordained. Dogmatic theology and understanding the dogmatic teachings of the Orthodox Church were especially helpful. I have to tell you about this because even nowadays there is a strong tendency among Orthodox people in Russia to believe that basically there is not much difference between Orthodoxy and Catholicism. This is not true. The difference between Orthodoxy and Catholicism is much greater than the difference between Protestantism and Catholicism. Conversion from Catholicism to Orthodoxy is much more difficult. Why? Because dogmatically there is a huge gap. 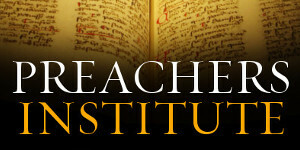 What helped me was that I really liked the ecclesiology, the theological study of the Church. Here the influence of the ROCOR was very important. In the ROCOR they teach that the Catholic Church is not a sister church, but a branch church that broke away from Orthodoxy. It was Orthodox at some point but then stopped being Orthodox because they introduced a teaching that cannot be accepted by Orthodoxy, and as such is considered heretical for us. But we have a strong tendency to level everything and make everything look equal! When we read the works of holy fathers, we see that it is not so at all. For example, St. Justin (Popovi?) clearly said that we adopt canons that prohibit praying together with heretics and we do not accept Catholics. It is logical. Imagine what would happen if the Bulgarian Church put forth a thesis about its primacy and absolute supremacy in the Church. What would we think about that? Naturally, we’d think that this was the beginning of heresy. With Catholics, this heresy took root and became an integral part of their belief system. Nowadays, Catholics are even less inclined to give in than 50 or 100 years ago. They hold their own ground. The Second Vatican Council changed nothing in this respect. Despite declaring ecumenism, the Catholics firmly insist on their points of view. Father George: This statement is very important for our times. Especially because many people today think that when we meet a person who has opposing views, we must somehow soften our words, stay away from the issues that separate us and emphasize the things we have in common. Many people subconsciously believe that if they hold their ground while discussing the questions of faith, it would push their opponents away. But in your example, the determination of that Orthodox community where you started your journey in fact strengthened your desire to become Orthodox even more. Father Thomas: Indeed, the Russian Orthodox Church Outside of Russia opened the door to Orthodoxy for me. I don’t think I would have become Orthodox in the Greek Church, that had a very ecumenical approach in Germany, just like the Moscow Patriarchate at that time. We Orthodox have a mission to the Catholics. 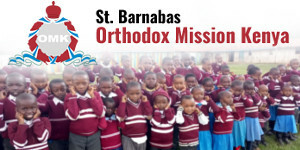 Our mission is to pray, act, and talk to them so that they would see the true light of Orthodoxy that they lack. This is what we should talk about. If we never tell them that some parts of their teaching are wrong and that according to Orthodox views they are heretics, how could they see that they are wrong? How could they acknowledge that in the course of history they made a mistake and succumbed to the temptation of reinterpreting and distorting the Sacred Tradition that we received from our fathers? This must be said. We should only think about “how to say it?”, rather than “should we say it?” And of course we should be polite; we have to respect our each other. Father George: We have to preach with love. The experience shows that whatever is said with love does not offend others. As truth and love go side by side, it is the best way to preach. Father Thomas: I agree, Father George. I should add that this discussion must include the word “heresy” in one form or another. When we use this word in discussions with members of other denominations, we are not labeling these confessions, damning them or pronouncing anathema to them. We must use this term to demonstrate where the boundaries of the Church are. For those who do not believe in Orthodoxy, our Church, we must pinpoint the problem area, that decaying wound, that moment where Catholics and Protestants lost the spiritual grace and where they are now trying to compensate that loss with their charismatic approaches, false exaltation or constant insistence on renewal and returning to their roots. In Orthodoxy, the roots were kept intact throughout history. They are easily accessible to everybody. Father George: When you still considered yourself a Catholic, how did you feel about this firm position stating that the Catholic Church fell into heresy? Father Thomas: This was a totally unexpected opinion for me. The thing is that Catholics support the Branch Theory that was condemned by our Synod of Bishops in 2000. According to Catholics, there are no essential differences between Orthodoxy and Catholicism in terms of the belief system. At first, I was in doubt and even wondered if members of the ROCOR were fanatics. How can they say that Catholic faith is flawed, if a billion people profess it? Then I learned that the other Orthodox churches teach the same, but they are more diplomatic about it. The uncompromising position of the Russian Orthodox Church Outside of Russia toward the members of other denominations opened the door to Orthodoxy for me and I am very grateful for it. When I understood the fallacy of the teaching about the Pope’s primacy, it was as if the entire foundation of Catholicism collapsed in my mind. And when I saw that Orthodoxy does not deviate from the Sacred Tradition and truly preserves it in its entirety, I became Orthodox. 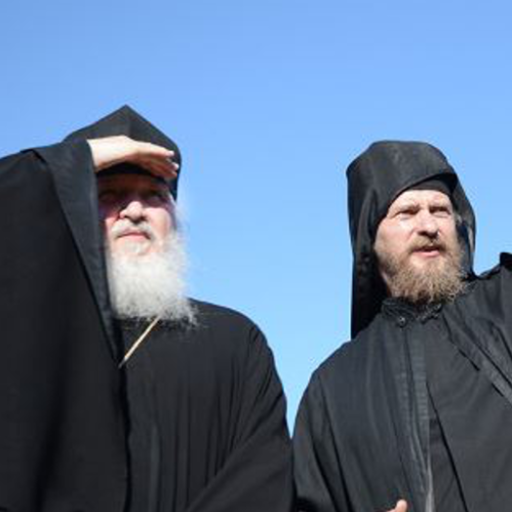 Father George: Some people in the West who have converted to Orthodoxy told me that understanding that their ancestors were also members of Orthodox Church at some point was an eye-opener and, to some extent, an incentive for them. Although Orthodoxy in the West is primarily believed to be the religion of immigrants from Eastern Europe, at some point my opponents understood that the ancient saints who lived on their land had the same belief system as the Orthodox Church and they did not distort the Truth. Did it help in your case? Do you think can this help people in the West today who encounter the same questions as you did? Father Thomas: It is very important to understand that prior to the great schism of 1054, there was one Orthodox Church that included the Roman Church. I think that the correct perception of the Church is very important for development of the Christian way of thinking. I remember that when I was a Catholic and was only approaching Orthodoxy, attending a ROCOR parish in Munich, I was puzzled when they said that there was a time when the Roman Catholic Church was Orthodox. What did they mean by that? It sounded like a paradox to me. Little by little, I understood that the Western Church indeed was cut off from Orthodoxy. It had to be said that communication wouldn’t be possible until the Western Church repents and returns to the dogmas that the Eastern Churches preserved without distortion. It is a very important aspect, because that way we steer away from the way of thinking that the Roman Church promulgates, stating that Catholicism and Orthodoxy, i.e. the Western Church and the Eastern Church, are parts of one whole. Or as Pope John Paul II liked to say, that these Churches are two parts of one set of lungs. It used to be like that at some point—in the first millennium, but unfortunately it is no longer so. We need to pray and act to return to what we had and lost. This is the mission of Orthodoxy in the West. And, of course, I must persuade our own parishioners who, I think, do not always clearly understand this. There are Orthodox people who think that we can pray together with Catholics and that they are our brethren, or the least of our brethren. Father George: Of course, if people who call themselves Orthodox think that there is no difference between the Orthodox Church and Catholic, Monophysite, or Protestant Churches, this is a mistake often caused by ignorance. This also happens because people perceive the Church as some national club that they go to simply because they belong to a certain nation. This, of course, is wrong, because the Church is the ark of salvation that God created and invited people from all nations. Father Thomas, in your opinion, what difference between Orthodoxy and Catholicism is the most important? Father Thomas: Papal primacy. We are used to considering the issue of primacy of Peter and his service as an isolated fact, as if this teaching applies only to administration and jurisdiction. However, it also affects the spiritual life of people in Catholic Church. The fact that the Pope is considered to be infallible is a distortion of the Sacred Tradition for us Orthodox people. 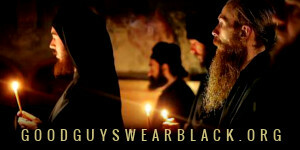 This is not acceptable for Orthodoxy as not a single person is infallible. Acceptance of infallibility is related to the issue of obedience. An infallible person, even if he is infallible only in the questions of faith, must be unconditionally obeyed. All stages of the Catholic hierarchy are based on this perception. Father George: Coming back to your story, I’d like to ask you about your friends’ and relatives’ reaction to your choice. Did they understand it? Did anybody follow you? Father Thomas: They had different reactions. My Catholic friends of course were very surprised. They didn’t think that I was capable of making such a step, which meant losing all my brethren, almost all my friends, in one blow. They consider such conversion to be an apostasy. As to my parents and brothers, there were different reactions. One of my brothers is a Pentecostal in a Brazilian Church in Munich. It is well known what they think about Orthodoxy. They believe that we are nearly idol worshipers. The classic Protestants, though, such as Lutherans, are more likely to understand this step, because at some point they too had to protest against Rome. That is why they can be understanding about it, even though personally they don’t consider such conversion possible, because of the huge cultural gap between the West and the East. You need to get used to Orthodoxy and fall in love with it. You need to love the life based on serving God. I wish every Catholic and Protestant would step on that path, discover Orthodoxy and cherish the Truth more than people’s traditions. Father George: Thank you very much for your story, Father Thomas. Whilst I appreciate Fr. Thomas’ narrative concerning his conversion from Catholicism, I must point out that most Catholics would not recognize his description of Catholicism itself. The Neocathecumal Way which Fr. Thomas was involved with is a modern movement within the Catholic Church. Pope Benedict XVI actually demanded that they change some of their practices or be excommunicated as their ‘charismatic’ and novel practices were often incompatible with Catholicism and had no roots in tradition whatsoever. To this day, many Catholic Bishops forbid the presence of the Neocatechumal Way in their Dioceses’s. Therefore, Fr. Thomas’ account of, and experience of Catholicism is actually a very distorted one and is not representative of Catholicism in general at all. I myself am in the process of converting from Catholicism to Orthodoxy, and so I agree with Fr. Thomas in many ways, but his account of what Catholicism ‘is’ and what it looks like is absolutely nowhere near the experience of the average Roman Catholic. Even liberal Catholics who are not at all orthodox in most ways regard the Neocatechumenate as far too liberal/protestant to be tolerated within Catholicism. Most Catholics reading this would probably regard this article as a distortion of Catholicism and nothing more than groundless polemic. Regardless of the experience of most Catholics, this is Fr. Thomas’ experience, and it is a legitimate one. It may not represent what you consider normal or average Catholicism, but these days what is that anyway? 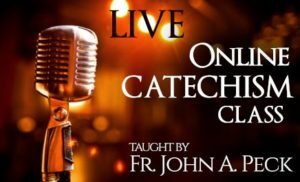 The Neocatechumanate Way has many adherents, and some of the liturgical aberrations which are mainstream in many large cathedrals around the world are nothing less than bizarre graspings at a Christian variety show. We at JTO have a great deal of respect for traditional Roman Catholicism, but in the contemporary Roman Church what it is on paper/in theory often bears little resemblance to what happens in your neighborhood church, and varies far too widely to be considered the same thing. The fact that the Neocatechumenate Way has, at any time, been permitted at all is the issue, I would say. Fr. Thomas’ experience is what it is – his real experience. Yes, what you say is absolutely true, and I cannot disagree with you on any point. I suppose that I was probably just reacting to how I think most Catholics would receive this narrative relative to their own experience. I know a good few Catholics who are teetering on the edge between Catholicism and Orthodoxy who would probably interpret this account as polemic and react negatively to it. Your response, and the observations you make, will chime with Catholics across the board, however. No problem, Ben. We’re all in this together, and I do agree with your observations!